There have been a lot of technological advances since 2000 that deserve their place in history. Its amazing to think how far we have come in such a short time, with gadgets seemingly taking leaps and bounds every year and improving on already amazing ideas and technology. These not only make our lives easier but also help more products enter the marketplace based upon these technologies. There are five advances that I think really stand out more than the others simply because they have turned the world upside down with their place in our world, making it easier for consumers and businesses alike to reach more people, bring in new products and generally live a better life. Wi-Fi is now found in just about every store, hotel, house, and café around the world, making it possible to connect to the internet without stringing a bunch of cables into the back of the computer. Since this advance, it has helped cell phones, tablets, laptops and other devices enter the marketplace more successfully as well. When our wifi goes down we forget how amazing this technology actually is. Sites like Facebook and Twitter are extremely technologically advanced and it’s not just about helping others stay in touch with each other. Businesses rely on this social media more than anyone else in order to reach their target demographics, get feedback on their products and market successfully. A number of technologies have imitated these sites and the academic world has latched on by offering courses in social media. The cell phone was advanced but the smart phone has gone above and beyond. The Android and the iPhone have popularized the concept but there are many manufacturers who have entered the arena. With apps becoming more and more popular as a way of doing business, the smart phone has internet access, a camera, gps, and many other features, making it an integral part of one’s life. It’s no longer just for making phone calls – it’s used for school, shopping, business, gaming, research and other aspects of life. There’s no longer a need to use gas or petrol to fuel cars. With the advancement of electrical and hybrid cars, it’s truly a green solution for the earth. Since the first prototype was designed, many manufacturers have piggy-backed on the idea to create more designs that use just electric or a combination of electric/petrol. As technology advances are made, the electric car is getting larger and faster as well. 3D technology is getting smaller and more readily available. 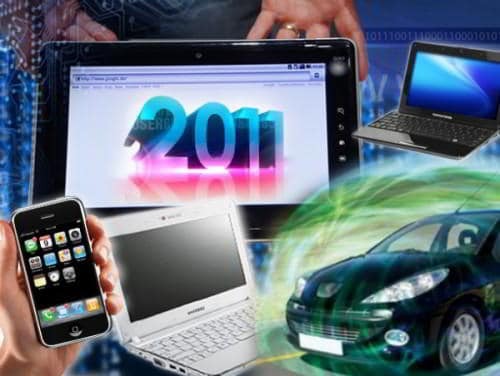 The technology is going into televisions, smart phones, cinemas, laptops and everywhere else. Over the past 5 years, there’s been more 3D movies released to the big screen than ever before and the trend will continue as more television brands are releasing 3D televisions to the public. The 3D glasses are more advanced than the old paper ones and it’s changing the way people think about watching television and playing video games. However glasses less technology on a mass scale will bring this even further. Paragon RT can help bring your technology to the masses with a rapid prototyping service and can work with low volume production options as well.